I love how accommodating generika staff are. From providing you the recommendation down to your selection, they really offer the quality service every customer needs. I have seen their collagen and I am quite curious about it. how was it? Most of my friends attested that the Nutrawell Collagen works wonders. Sadly, I wasnt able to try it thus gave it to my mom. I am breastfeeding my son and lactating moms cannot take the Nutrawell Collagen. But I am still eyeing to try this sometime soon. I agree with you. Good thing there are brands like Generika that offer quality products minus the steep price. I depend on multivitamins too as I do not have access to fresh vegetables all day. Just like you, I rarely exercise and I am not a fan of fitness gyms. LOL. Sodium Ascorbate is a good product because it won't upset your stomach. It was recommended to my husband when he had ulcers.I would let my husband try this out - his brand is kinda pricey. Good thing you reminded me about health. I really need to give more time to focus on my health and check what goes inside my body. Let me try the Sodium Ascorbate. And I agree that Generika staff are accommodating. I completely agree that it's so important to take care of your health! I'm a bit of a workaholic, so I sometimes let my health slip. 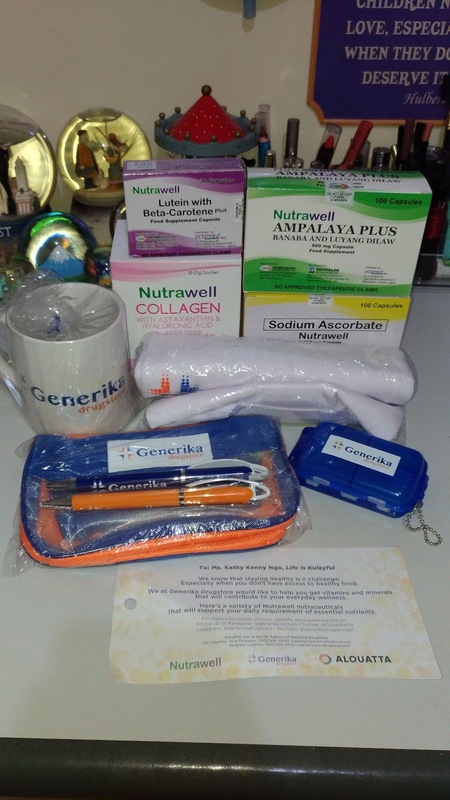 I'm not really familiar with Nutrawell or Generika. But it sounds from your review that the products work really well, and I am in favor of anything that works! I havent heard yet about nutrawell. You got me with yur statement on the first paragraph. I can remember how i used to be sakitin before. I was not used to drinking vitamins not until i was dragging my body already just to b e able to go to work. We really have to take supplements and vitamins. If someone i know would recommend these that you have shared, i would give it a try. Stay healthy! So true! I too hardly get myself motivated to exercise, though I know how extremely important it is! However I make sure my food intake is relatively healthy with fruits and veggies. Food supplements are so necessary esp today that even with veggies & fruits most are GMO!!! Looks like a good option.